Lavie Tidhar creates wonderfully vivid worlds in his books. 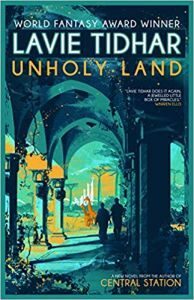 Worlds where the strange and bizarre intertwine with the mundane, where history is slightly different and where Jewish culture and language permeate the tale. In Unholy Land, the Jews have a homeland in East Africa known as Palestina and the horrors of the holocaust did not come to pass. 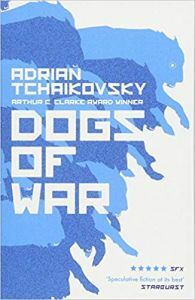 Rex is a bio-engineered dog designed for war, given limited autonomy to command his small troop of other creatures and sent out into the anarchy of the civil war raging through Mexico. His world is quite straightforward: kill enemies, don’t kill friends and obey orders. 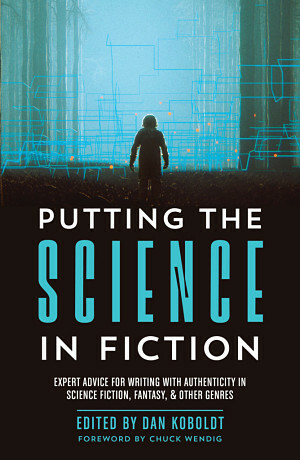 Putting the Science in Fiction is out today, including my chapter on Waste Management in Science Fiction. My story 'The Long Afternoon of Sir Rupert Moncrief' is shortlisted in the Best Speculative Fiction Story: Small Cast (Short Form) category of the Parsec Awards!